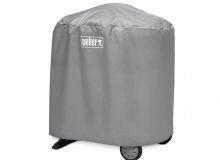 Durable and reliable weber barbecue cover to keep your Weber Q 1000/2000 barbecue safe and clean in any season. Keep your Weber® Q 1000/2000 barbecue looking stylish and clean with a high quality Weber® cover. This also comes with a stand.